Several areas, including Shimla, Chamba, Palampur and Manali, received rainfall ranging from 2 mm to 31.6 mm during the period, the Met centre added. Himachal Pradesh: Visuals of fresh snowfall from Nawar valley in Shimla's Tikkar area. Himachal Pradesh received fresh snowfall and rain on Friday, intensifying the cold wave conditions in parts of the hilly state. Tourist towns like Dalhousie, Kufri and Manali received snowfall from 5.30 pm on Thursday to 8.30 am on Friday, the Meteorological Centre, Shimla said. Towns like Bharmour, Pooh, Keylong, Salooni and Kalpa also received snowfall during the period, it said. Besides, several other areas, including Shimla, Chamba, Palampur and Manali, received rainfall ranging from 2 mm to 31.6 mm during the period, the Met centre added. The sky in most parts of Himachal Pradesh remained overcast. 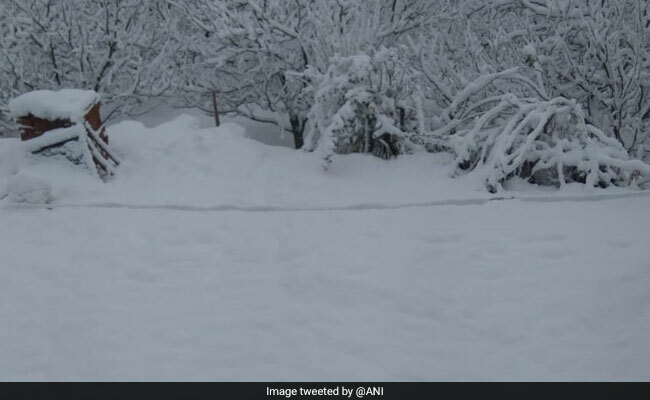 The minimum temperature was recorded below the freezing point in Kufri at minus 3.6 degrees Celsius, Dalhousie at minus 2.5 degrees Celsius and Manali at minus 1 degree Celsius. Keylong continued to be the coldest place in Himachal Pradesh at minus 11 degrees Celsius, followed by Kalpa, which recorded a minimum temperature of minus 10 degrees Celsius. Several roads in Chamba district were blocked due to heavy snowfall, a senior police officer said. The weather department has forecast heavy rain and snowfall in the high and mid hills and thundershowers in the low hills and plains of Himachal Pradesh on Monday and Tuesday. Himachal's weather will mainly remain dry on Saturday and Sunday, it said.